Viking Cruises takes you around the world. 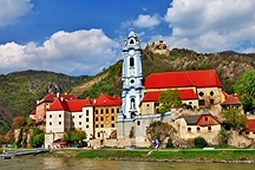 Cruise the romantic Danube and discover grand cities and quaint villages along Strauss’s 'Blue Danube', or cruise the Rhine, Main and Moselle rivers through history and picturesque countryside. 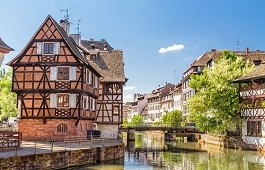 Or cruise France's Seine and Rhone rivers, cruise the Seine from Paris to Normandy, the Rhone from Lyon to Avignon, or Holland's waterways and stroll the wonderful Keukenhof Gardens, the charming canals of Amsterdam with picturesque windmills and riots of tulip fields in the springtime. Cruise the Elbe through East Germany's dramatic landscapes. Discover the unique scenic treasures of Europe from your luxurious river cruise ship on Europe’s waterways. Visit Moscow and St. Petersburg's fabulous Russian Palaces, or China's world of ancient historical wonders - all awaits you, call us! grand architecture, tempting cafés and superb museums. Celebrate joie de vivre in this land of wine and oysters, truffles and cognac, as you cruise the Dordogne, Garonne and Gironde Rivers. This eight day itinerary takes you through four of Europe’s most enchanting countries—Austria, Germany, Hungary and Slovakia—along the storied Danube River. Where you'll explore Budapest’s imperial and Art Nouveau delights, and take a comprehensive tour of beautiful Bratislava’s baroque and Gothic buildings and fountains. In Austria, discover why Vienna is 'the waltz capital', sail through the spectacular Wachau Valley, and explore the cobblestone streets and charming town squares of Dürnstein. And in Germany, admire Passau’s ancient fortress and Italianate architecture. Includes a tour of the 900-year-old baroque Benedictine abbey at Melk and an all-day visit to the scenic city of Salzburg. of imperial Budapest—and along the way, discover the legend of the Lorelei, the ancient art of glassblowing, the music of Mozart and more. Guests who choose this voyage soon see why it is our most popular itinerary—on the wonderful Viking Longships. Combine the endless cultural riches of your Grand European Tour with 4 nights in the Low Countries on our most comprehensive cruise tour. 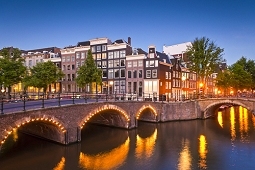 You’ll explore 5 countries in 19 days, with 2 nights each in the medieval jewel of Belgian Ghent and among the canal-lined lanes of Dutch Amsterdam. The rest of Europe unfolds before you during a 12-day cruise that spans the Rhine, Main and Danube Rivers. 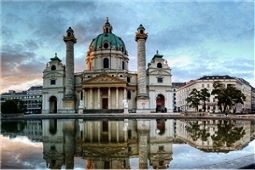 Discover elegant cultural capitals such as Budapest and Vienna. Explore storybook villages and riverside castles. Witness stunning natural beauty. And delve into the legends, lore and enduring traditions that define a continent. you will see a lot making the most of time. Poland, Prague & the Elegant Elbe 2016 16 Days Sails Between Berlin - Prague from $4,699 Complement your Elegant Elbe itinerary with stays in three magical cities. On this inspiring cruise tour, you’ll sail the lilting waters of the Elbe past the sandstone cliffs of Saxon Switzerland. Spend two nights in vibrant Prague; three nights in Kraków, where you can join a moving excursion to Auschwitz; and two nights in Warsaw, home of the courageous Jewish Ghetto Uprising and a stunningly reconstructed Old Town. while admiring the fabulous architecture of these renown world cities, capitals and UNESCO World Heritage Sites. culture of Russia’s heartland. But, there is another side of Russia, quaint riverside towns like Yaroslavl, Uglich and Goritzy that only a river cruise can provide. See opulent palaces, discover fortified monasteries and visit beautiful cathedrals. It is an unforgettable way to experience the history and culture of this unique and mysterious country. Natural beauty, rich history and spiritual wonders await you in Thailand and Myanmar (Burma). Begin your journey in bustling Bangkok, where you encounter some of the Thai capital’s highlights, including the unforgettable Grand Palace temple complex set on the Chao Phraya River. Then fly to Myanmar for a two-day stay in Yangon (Rangoon) and a breathtaking cruise along the verdant Irrawaddy River, known as “the Road to Mandalay” after Rudyard Kipling’s famous poem. And in legendary Mandalay, experience the sweep of the region’s history from palaces and pagodas through colonial times to a contemporary melting pot of Asian cultures. The Roof of the World cruise and tour, is where you'll discover the many faces of China on this fascinating 16-day adventure, and where you'll also explore Tibet on this adventure tour that includes Beijing, Shanghai, and Xian, plus a 6-day Yangtze River cruise. See the imperial treasures of Beijing, including the Forbidden City and the Summer Palace. Meet several thousand Terra Cotta Warriors in Xian. 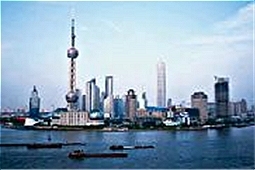 Explore Shanghai, both ancient and contemporary—the “New York City” of China. Enjoy a 6-day Yangtze River cruise. Plus, experience Lhasa on the Tibetan plateau, set high in the Himalayas on “the roof of the world.” Spend three spiritually enlightening days visiting Jokhang Temple, Potala Palace and much more. With a nod to a home-cooked meal, a traditional Thanksgiving feast of roast turkey and all the trimmings will be served on select November departures in Europe. Or come celebrate the Magic of European Christmas: Select cruises sailing this holiday season will include Christmas markets. Here, the spirit and romance of the holidays come alive with the scent of gingerbread and the tunes of traditional carols around every corner. Whichever Christmas markets you visit, you’ll enjoy a wonderful feast of tasty treats, as well as dozens of stalls brimming with unique and inspiring handcrafted gifts. city of Bordeaux invites visitors to savor its grand architecture, tempting cafés and superb museums. Celebrate joie de vivre in this land of wine and oysters, truffles and cognac, as you cruise the Dordogne, Garonne and Gironde Rivers. of beautiful Bratislava’s baroque and Gothic buildings and fountains. In Austria, discover why Vienna is “the waltz capital,” sail through the spectacular Wachau Valley, and explore the cobblestone streets and charming town squares of Dürnstein. And in Germany, admire Passau’s ancient fortress and Italianate architecture. Includes a tour of the 900-year-old baroque Benedictine abbey at Melk and an all-day excursion to the scenic city of Salzburg. with the graceful architecture of Prague, home to countless spires and a vibrant cultural scene. romantic city, with your companion. REQUEST QUOTE Celebrate the Season with Thanksgiving Cruises: With a nod to a home-cooked meal, a traditional Thanksgiving feast of roast turkey and all the trimmings will be served on select November departures in Europe. Visit all the highlights of the legendary Rhine in just 8 days. In Germany, see the many charming castles commanding the riverbanks as you sail by, and tour both Marksburg Castle and the ruins of Heidelberg Castle. Admire Cologne, the jewel of the Rhine, with its awe-inspiring Dom, and experience the lush landscape of the Black Forest region. Also, explore Holland’s famous windmills and waterworks, encounter multicultural Strasbourg in France, and take part in the inviting nightlife in Rüdesheim’s Drosselgasse. On this itinerary you see a lot—without spending a lot of time. The Low Countries—Holland, Belgium and Luxembourg—lie mostly below sea level. An extensive series of dams, dikes, canals and natural waterways crisscrosses the fertile countryside. Amsterdam’s waterways are both beautiful and functional, carrying people around the city, and many of Belgium’s cities also feature canals. 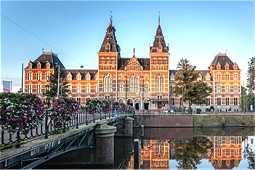 Cruising these waterways is a treat to the senses, the charming architecture enthralls, and a sense of timelessness abounds, this is a must do once in your life, and especially to catch the Tulip & Windmills cruise. 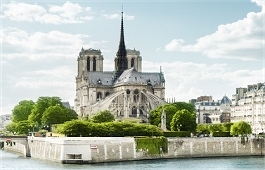 CRUISING THE RIVERS OF FRANCE starting in Paris, one of the most stunning and exciting cities in the world, providing the perfect starting point for your Grand France adventure or a Paris and Normandy cruise. 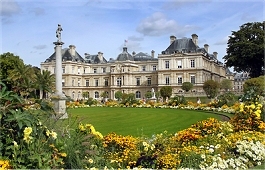 Paris has hundreds of magnificent monuments, museums and parks and boulevards. The most noted monument is the Eiffel Tower, and the famed Champs Elysée, and majestic Notre Dame Cathedral . . . to name just a few. Along the Seine River, you’ll visit charming towns and villages of Auvers-sur-Oise, Rouen [Joan of Arc], Honfleur and Giverny that so inspirational to the beloved French artists of the Impressionist era. You’ll walk the beaches of Normandy where the Allied forces D-Day Invasion during World War II . . a day crucial to victory and freedom. Then cruising Burgundy and Provence regions, you’ll pass quaint hilltop cities and fashionable lively towns, lush vineyards, fields of flowers and sun-drenched vistas all of which were made famous by great painters. We’ll take you to plenty of UNESCO World Heritage Sites: Arles, forever connected to Vincent van Gogh; Lyon, known as the center of Gallo-Roman history and the culinary capital of France, and Avignon, and her well-preserved medieval walled city with the spectacular Palace of the Popes. All along the way, indulge in the famous flavors of these regions, the wines, the cheeses, the chocolates, the fresh fruits and vegetables, and bask in the warmth of the countryside. This is Grand France, and it’s yours to enjoy! 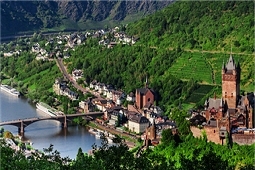 CRUISING THE RHINE, MAIN, MOSELLE AND ELBE RIVERS OF GERMANY is breathtaking scenery, charming villages, castles and vineyards are a highlight. The Rhine is the most noted, and in addition to being one of Europe’s most important rivers, the Rhine is also one of its most beautiful. It originates in southeastern Switzerland and the Upper Rhine flows toward Basel, then into Germany where the Middle Rhine Valley is flanked by pastoral towns, vineyards and dozens of castles and fortresses. The The Main River originates in Upper Franconia and flows through the German states of Bavaria, Baden-Württemberg and Hesse. 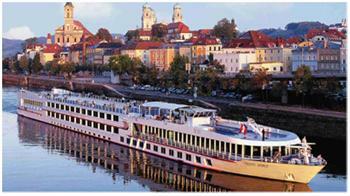 It features exciting river cruise destinations such as Würzburg and Bamberg. 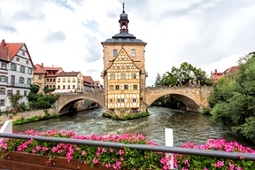 River cruise guests often stop in Würzburg for a journey along the “Romantic Road” to charming Rothenburg. Then there's the Elbe river featuring extraordinarily beautiful landscapes, and cruisers also enjoy spectacular views of the dramatic rock formations of the Elbe Sandstone Mountains. In addition to its wildlife, the river supports several wine-producing areas. And last but not least the Moselle is home to castles and picturesque views. Its winding bends are considered a special attraction, as are the remarkable views of the surrounding hills, narrow terrace-shaped valleys and steep vineyards. The Yangtze River starts in the Tibet Plateau flwing east across the width of China emptying into the East China Sea near Shanghai. 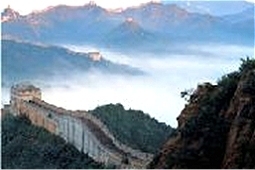 Here it bisects the country and historically marked the division between north and south China. The most magnificent and wild beauty of the Yangtze River is the where the three spectacular gorges merge comprising the Three Gorge Dam area - and runs about 150 miles on the Yangtze river. The scenery is breath-taking and will amaze and astound you. The Dam itself is an engineering marvel, created to control flooding that in the past has killed thousands of people, leaving millions homeless. The Dam is the largest power producing station by capacity (22,500 MW) and the ship lift was finished in 2015 to facilitate shipping through the locks for raising/lowering the water levels, also generating more megawatts. MEKONG RIVER goes by many different names, and in several different local languages, as it flows through many districts, provinces, as well as flowing through several countries. The Mekong River remains one of the largest natural wild rivers in the world while cruising this spectacular river and its beauty that lies along the riverbanks. It is the seventh longest river in Asia and the twelfth longest in the world. The Mekong River and Mekong Delta boasts one of the richest areas of variety of life in this ecosystem in the world. Explore the lush landscape on your Mekong River cruise and see places that will overwhelm you with the depths of their history. IRRAWADDY RIVER - it's name having several different spellings, originates in the Himalayas, then the Irrawaddy flowing from north to south, through the Irrawaddy Delta, emptying into the Andaman Sea. It is the largest and most important river for commercial trade in Myanmar. With magnificent scenery as your cruise along the banks of the Irrawaddy, you'll view rice growing, fishermen working their nets, and hundreds of stupas - the golden spires from the temples sprinkling the landscape. The Irrawaddy also has species of wildlife exclusive to the area, including the Irrawaddy Dolphin, that does not have the usual beak as our Dolphin in the US do. In the Irrawaddy Delta, rice grows and mangroves are prevelant, with many species of shore birds and five distinct sea turtles, and crocodiles.